Inspired by Storytime Katie, I thought I’d try out a new theme this week. Katie put together a great storytime plan for preschoolers (check it out here), so I decided to adapt it and create a plan for my toddler group. This book is incredibly cute and has fold-out pages (always fun! ); however, I think it was a little long for my group. I would suggest using Hello Baby! by Mem Fox or Hello, Snow! by Hope Vestergaard for a toddler crowd. Simple text, brilliant pictures, and lots of animal sounds = the perfect storytime book! For this flannel board I used a free printable from Wondertime. 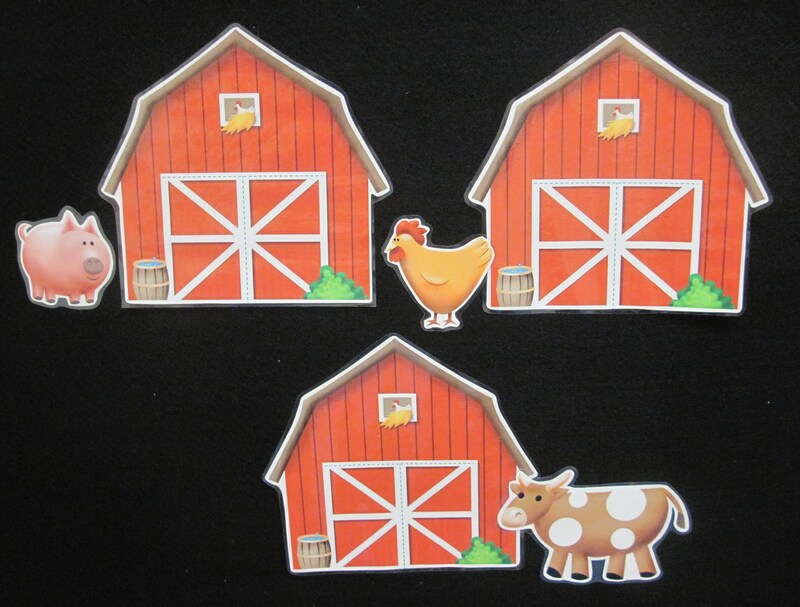 Hide a pink pig, brown cow and rooster under 3 barns. Look for each one after singing the refrain. Greet each item with a HELLO after finding. Then have everyone tell the animal GOODBYE and put it away. Can we find a pink pig? A pink pig? A pink pig? We want to say HELLO! I made this “Hello, Goodby Elephant” for the craft, and I think it turned out pretty cute. (I got a chuckle from the grown-ups when I turned it to the “goodbye” side.) There’s a printable in color, if you just want to cut and glue. I used the black and white version for storytime so that the children could color their own….And they are always way more creative than I am. While my elephant was plain ol’ gray, their elephants were all colors of the rainbow! Beautiful! Instructions: Print template (I used regular paper, but you could also use cardstock.) 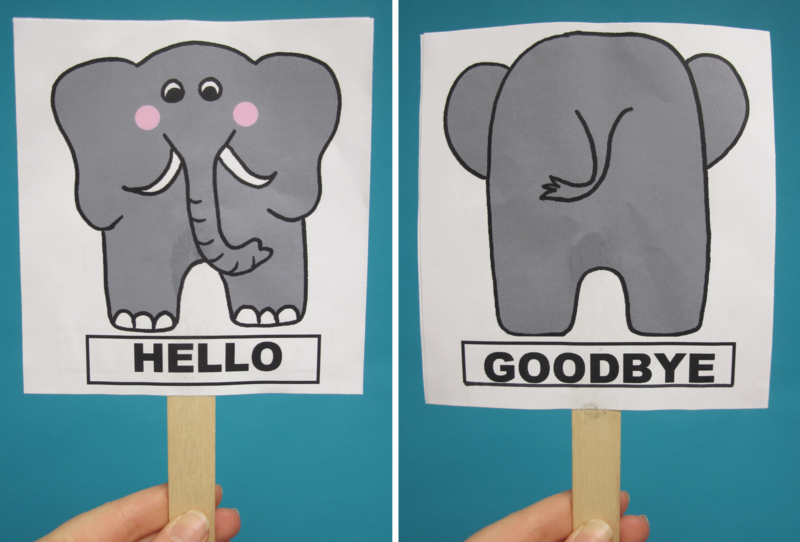 Cut “hello” and “goodbye” elephants to same size square. Color elephants. Using a glue stick, glue elephants to front and back of a jumbo popsicle stick.